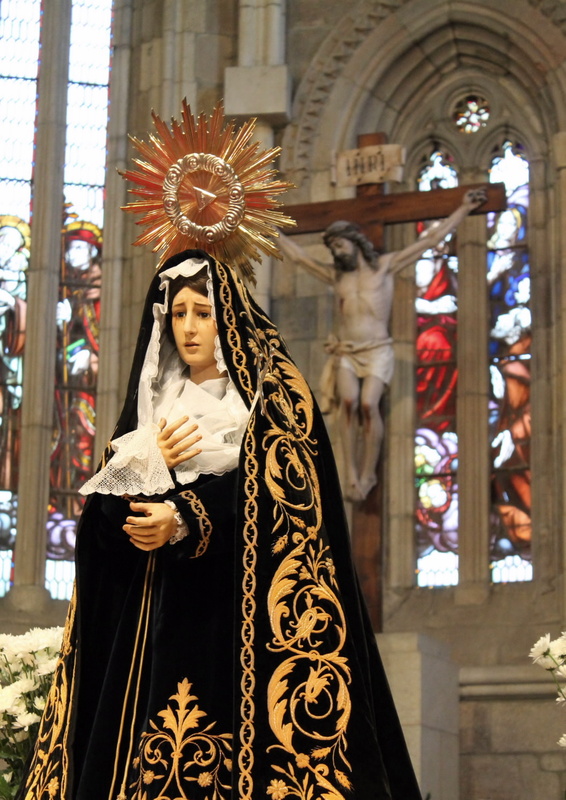 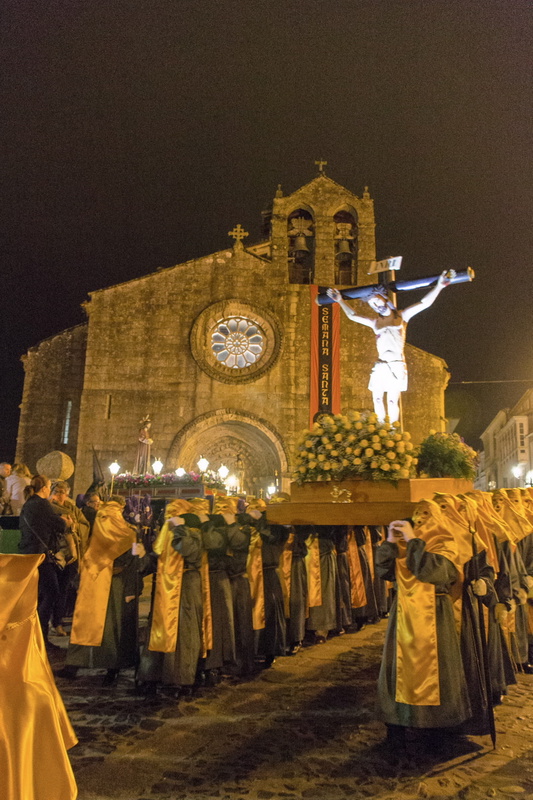 Betanzos’ Holy Week celebrations begin on the Friday before Palm Sunday with a mass in honour of Our Lady of Sorrows. 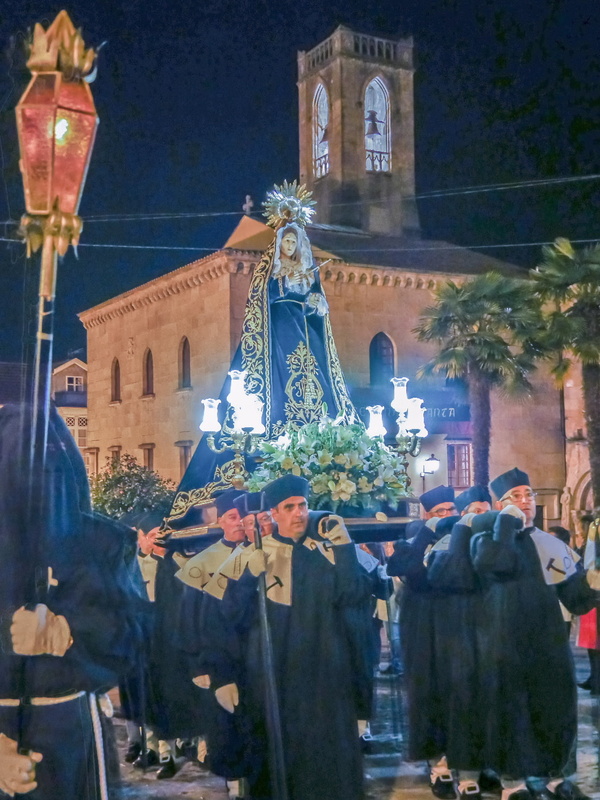 Music lies at the heart of the events, which last from then until Holy Tuesday, and the highlight is undoubtedly the town’s famous Religious Music season. 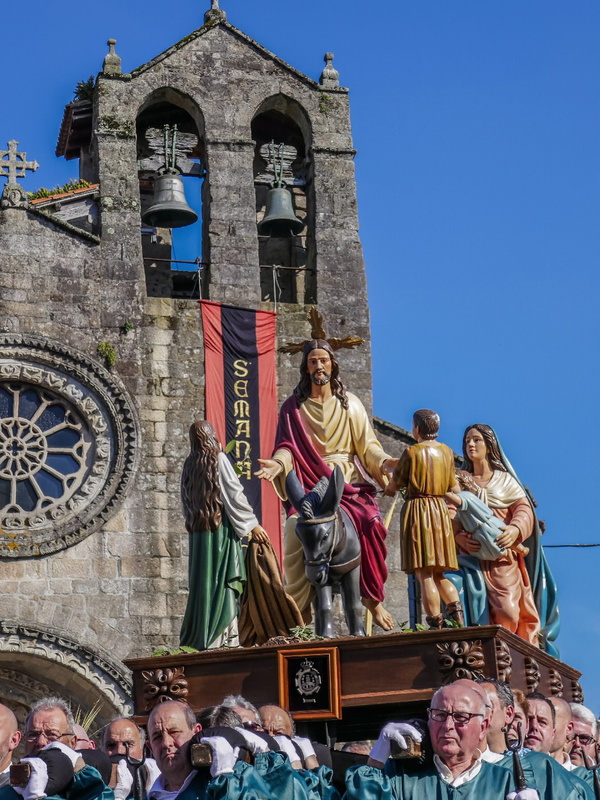 On the afternoon of Palm Sunday, the palm branches are blessed and the figure of La Borriquita – the Little Donkey – is taken in procession around the town, accompanied by large numbers of local people carrying palm branches and leaves. 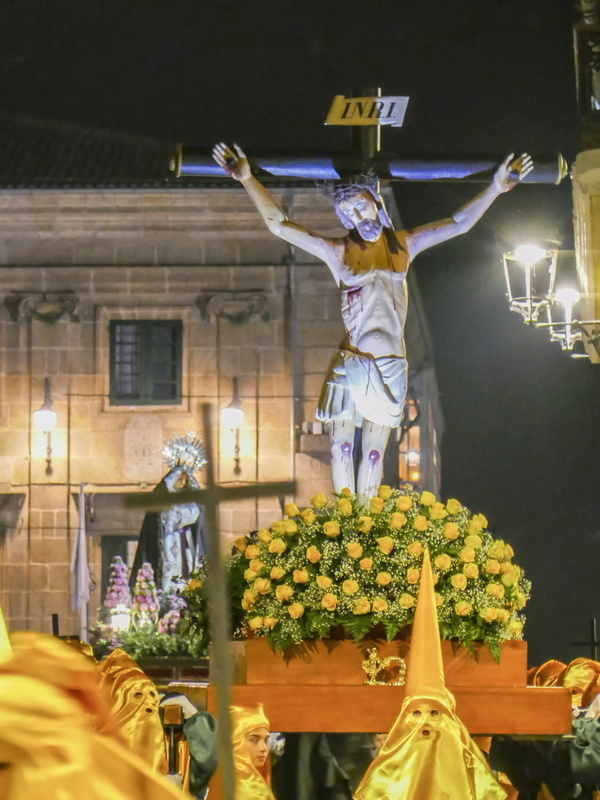 On the evening of Holy Wednesday, a simple yet extremely moving Via Crucis or Stations of the Cross takes place along the streets of the city’s historic quarter. 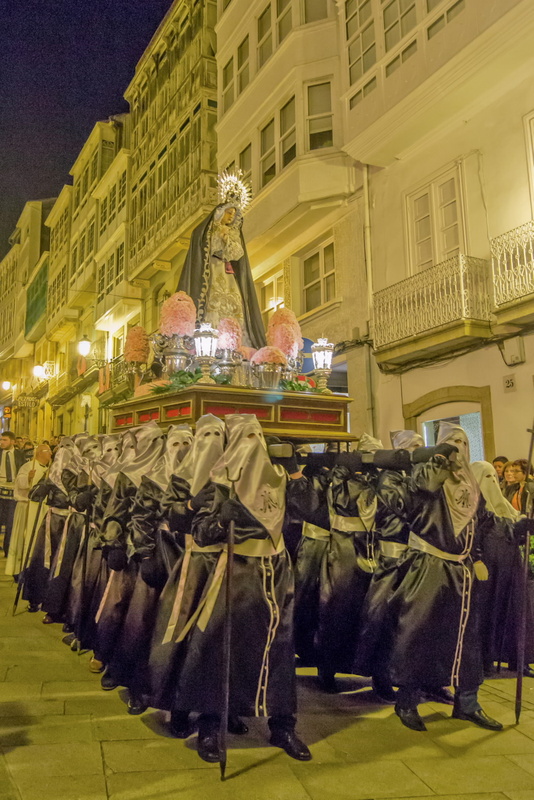 Singing and music feature strongly in the following processions which make their way along the cobbled streets of the historic quarter. 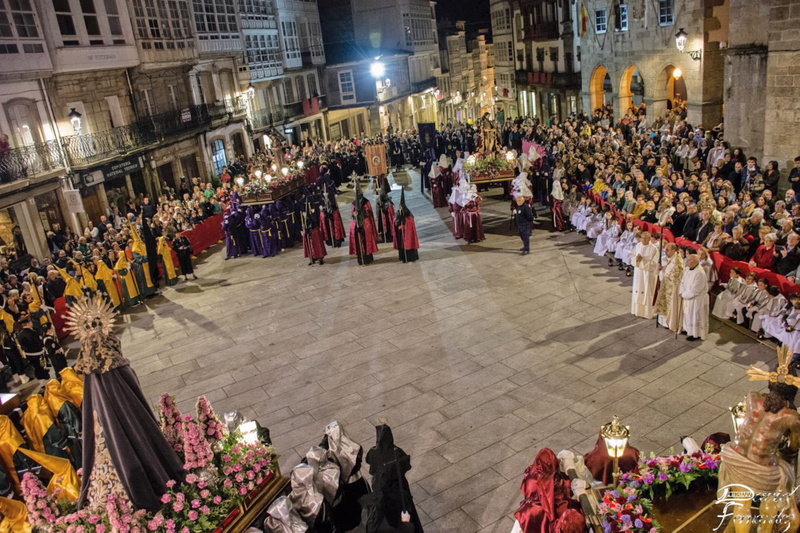 On Maundy Thursday, following the celebration of the Last Supper, including the traditional washing of the feet, the Holy Encounter procession takes place, during which the various figures related to the Passion of Christ come face to face with the Virgin Mary. 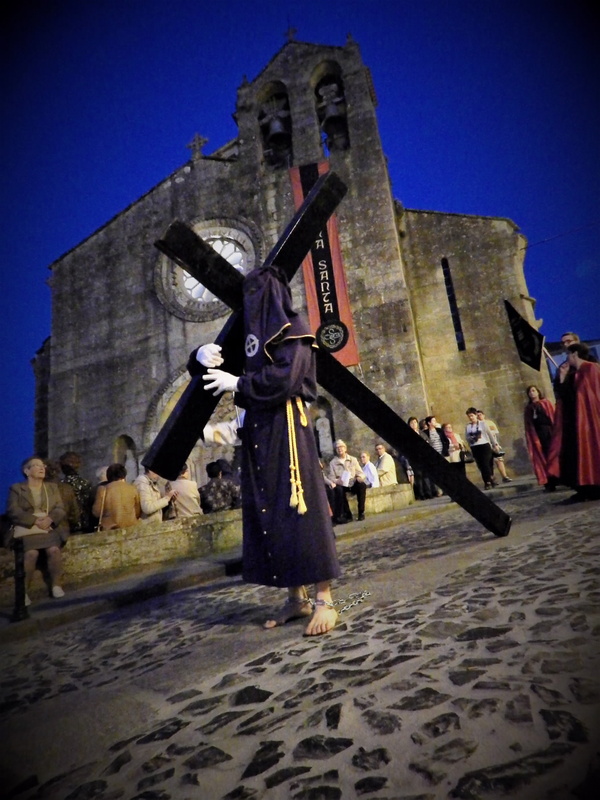 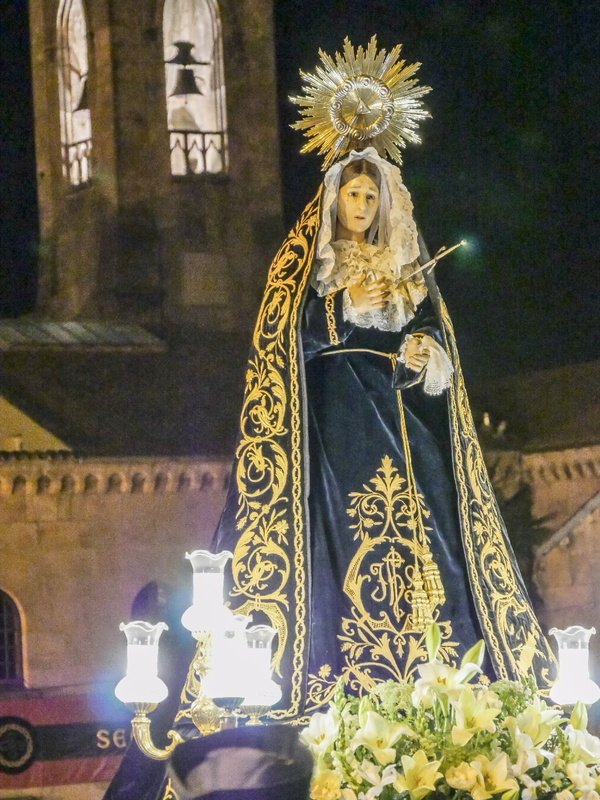 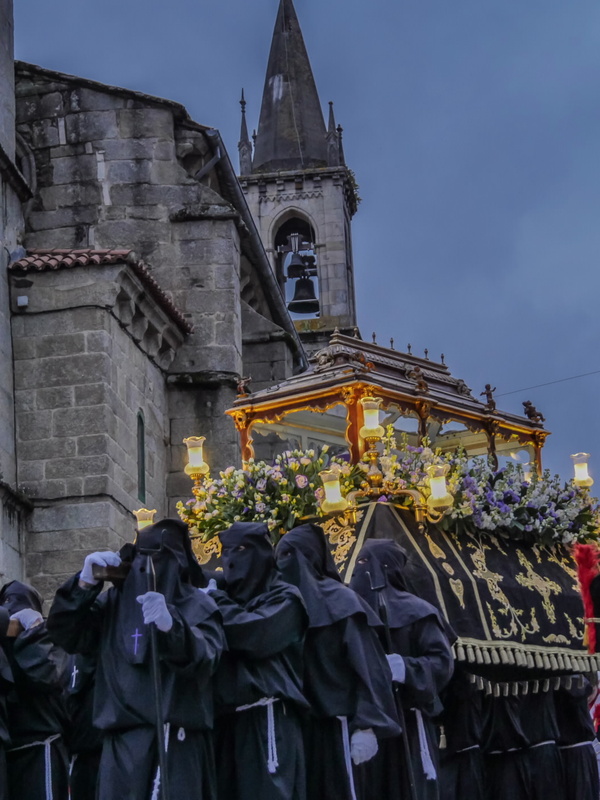 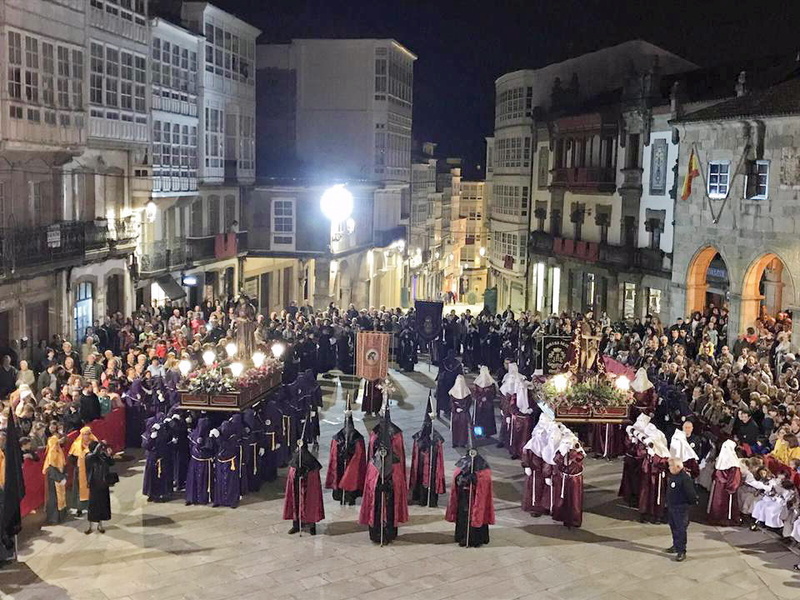 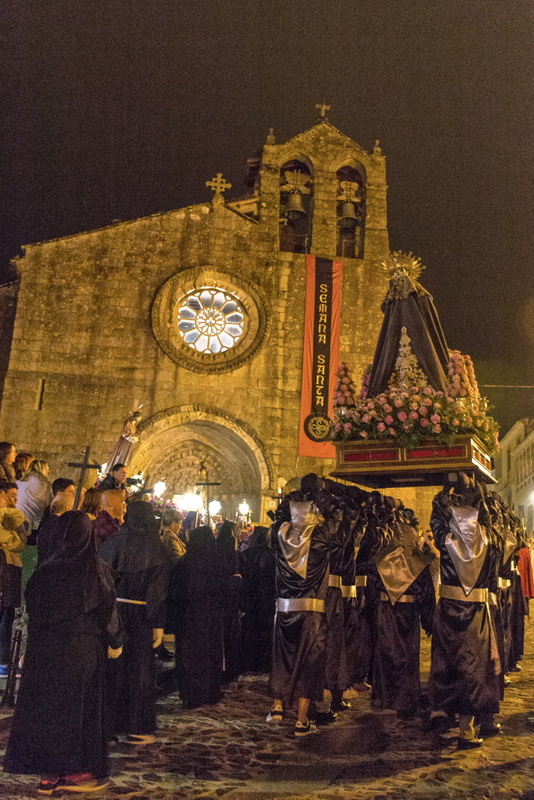 The Death of Jesus is commemorated on Good Friday afternoon, represented by the Holy Burial procession; and when night falls, the people of Betanzos accompany the Virgin Mary in her solitude during the procession known as Os Caladiños, or ‘Silent Ones’. 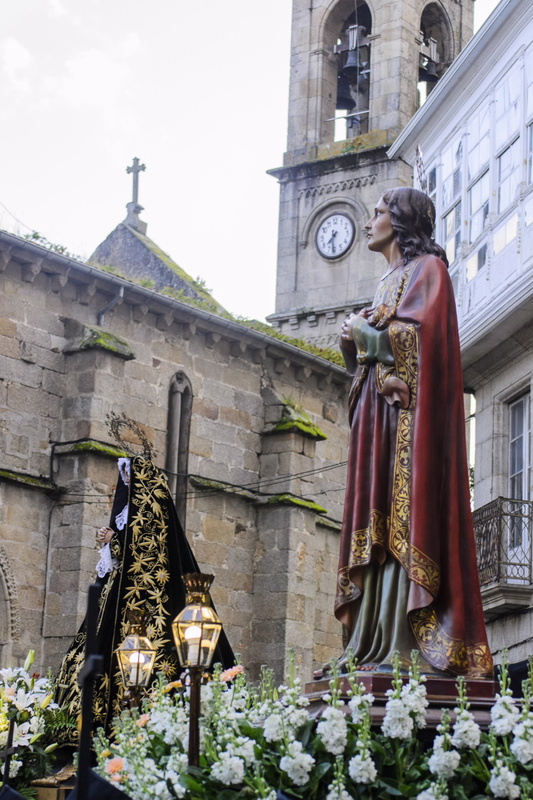 On Holy Saturday afternoon, the Procession of Solitude, during which the figure of Saint John accompanies the Virgin Mary, re-enacts the hope of resurrection, which is celebrated in full solemnity that night, during the Easter Vigil. 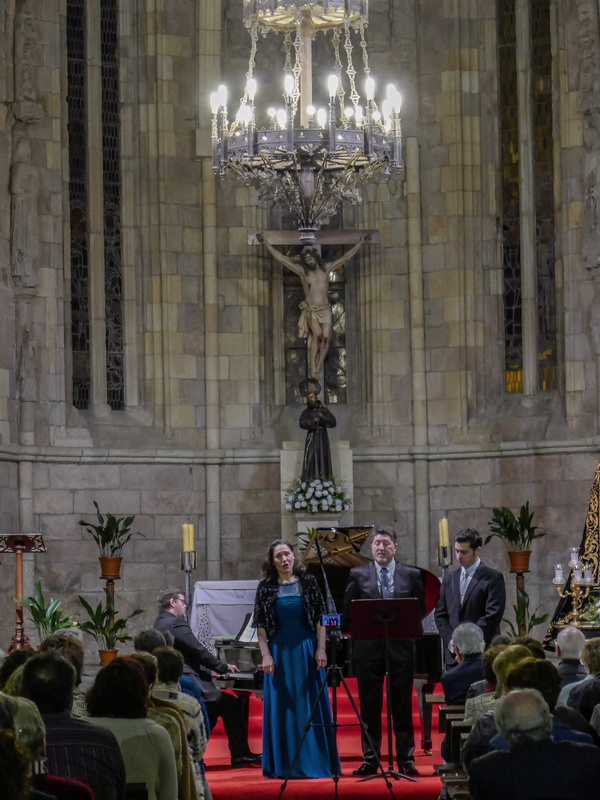 Highlighted phrase: The Religious Music season.